This came to me last night just before I fell asleep. Always the way huh?! Time isn’t linear. It just is. It just exists. Time has been created for the economic benefit of society. It keeps us bound to the past and the future meaning we’re never completely present and in the moment. We’re either nostalgic of the past, or living in an unbridled fantasy of anticipation for a future that has yet to be created. “The past gives you an identity and the future holds the promise of salvation, of fulfilment in whatever form. Both are illusions” ~ Eckhart Tolle. Because of this notion of time – and perhaps even our obsession with it, we miss the daily miracles of the present moment that contribute to happiness and forget that life is all about living. Certainly, we’re alive. But are we really living? Q: Where am I? A: Here. Q: What time is it? A: Now. I am reminded to live in the moment, the here and now. I am reminded this moment is the only moment that exists and all other moments are history or a mystery. The idea of time is an experience we need to eliminate from our psyche. Time holds us back because we’re constantly worried about wasting it. In being worried about wastefulness of such a “precious resource”, we’re being wasteful. The energy and time (pun intended) spent worrying could be put to better use by realising there’s no need to worry. There’s a natural ebb and flow to life. All we have to do is look in nature to see this. Nature doesn’t know time. It knows life and the energy of the moment, and so it acts and lives accordingly with its nature. Watch the waves crash against the rocks and realise how you’re losing yourself in time. In watching nature be nature we realise the timelessness that exists. The ocean isn’t thinking “I must have crashed against this rock by 10.30pm to meet my quota” or saying “I need to be at high tide by 3.45pm for the fisherman”. The waves crash because it is simply in their nature to do so. If humans weren’t occupying Earth would our version of time exist? Of course not. The waves will carry on crashing, the trees and plants will still be growing, and the Earth will carry on spinning. Time is redundant. It’s humans who place time on a pedestal and make it a matter of importance. You’re not wasting time. How can you waste something that doesn’t exist? We’ve got eternity to live and figure life out. Stop worrying about wasting time. 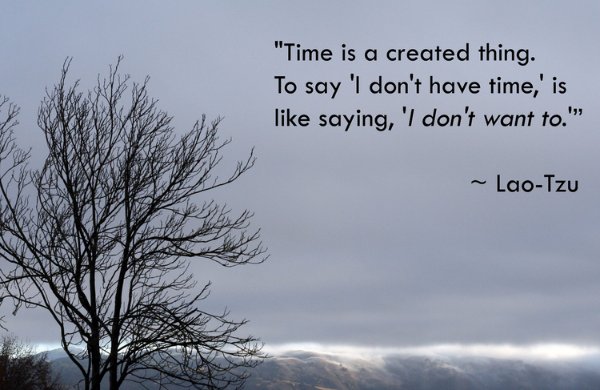 Time isn’t worrying about wasting time. And why would it? It knows it doesn’t exist. So, isn’t it about time we stopped worrying and started living?